Patrick continues a cycle of cruel parenting in this painfully well acted family tragedy. Warning: This contains spoilers for Episode 4 of Patrick Melrose. Not seen Episode 4 yet? Catch up with our spoiler-free review of Episode 1. 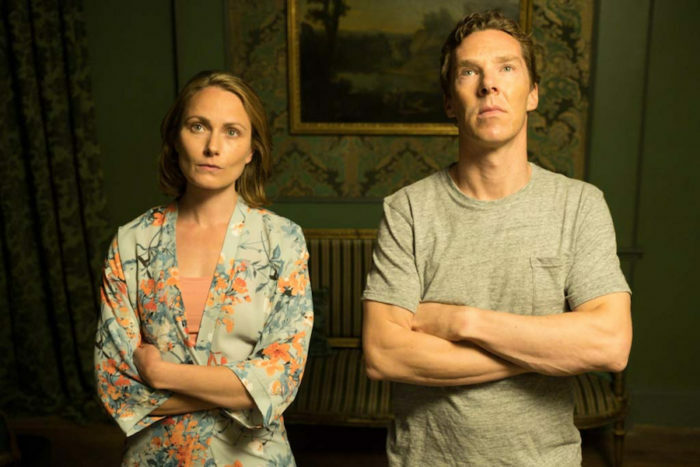 By the time Episode 4 of Patrick Melrose closes, Some Hope feels like a long time ago – in fact, it’s been 13 years. 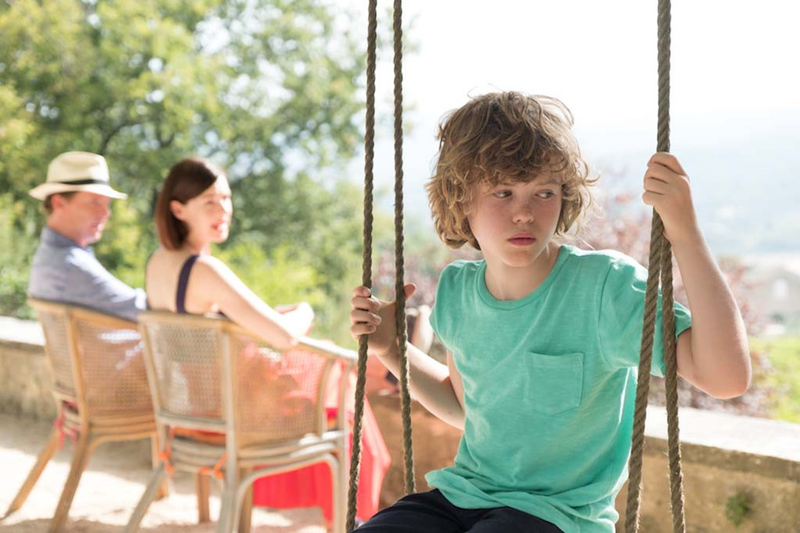 But while Patrick is now married to Mary (Anna Madeley), whom he met at the party last episode, and they have a child, Robert (Marcus Smith), hope really has departed his life: just when things should be shaping up into something happy, they’re falling to bits. It’s no surprise, of course, given the nature of Patrick’s personality. A combination of addictive and self-loathing, he can’t shake the trauma of his own childhood and, by becoming so fixated on trying not to become his own dad, he’s destined to be an equally failed father. “I loathe the poison dripping down from generation to generation,” he tells Mary, but the acidic erosion is already eating away. David Nicholls’ script captures that descent perfectly, giving the cast just the right amount of explicit anger, upset and fear, while still leaving them with enough inner resentment to stew over silently. Cumberbatch is flawless here, falling further into the wine bottles he carries around the house with every spiteful speech he delivers. He rattles off insults and quips with a breezy arrogance – and a painful sliver pure hatred. What gives his nastiness such emotional weight is that it comes from a well-intentioned place: he doesn’t want to be his dad, even as he becomes more like him, right down to the hat. He doesn’t want to abandon his family, just as he doesn’t want his mum to abandon him. His cruelty here stems largely from the fact that he does feel she has: played with a growing poignancy by Jennifer Jason Leigh, the faded Eleanor is weak and bed-ridden, to the point where she asks him to kill her. He actually, shockingly, ponders the feasibility of the idea – a sign of how much he cares, but also how much he just wants rid of his parents. To stoke the fury further is the fact that she isn’t even leaving him her French chateau, where the action all unfolds: she’s going to give it, instead, to a spiritual healer called Seamus, who’s as smug as he sounds. Patrick cannot stand the way that Seamus has infiltrated his family home, replacing him in his mother’s affections – and he’s even more incensed that Seamus doesn’t genuinely care for her, not even going to visit her in her bedroom when she’s finally unable to move. It’s an unnatural interruption of the parent-child cycle, in a family where the perverse abuse of family trust has already gone well past breaking point. 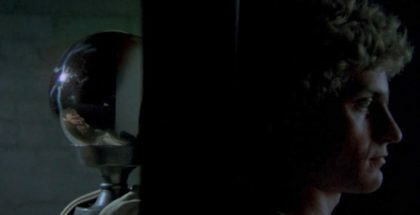 The shadow of David, and his mistreatment of young Patrick, still haunts the mansion, which director Edward Berger continues to shoot with soft, sun-dappled colours – all the better to see the decay with. Into that world steps Jessica Raine’s Julia, whose easy-going flirtation with Patrick is tinged with regret and loneliness – and it’s their shared sense of isolation and helplessness, rather than their mutual attraction, that leads them to ultimately spend the night in her room, while Mary sleeps in the other room. It doesn’t make it any less painful, but it does make it believably messy. All the while, Anna Madeley is remarkably generous as his weary wife, forever reminding us that Patrick is not a nice man, and that his actions are only inflicting more pain on his loved ones. The result is a bracing study of addiction and depression, both of which continue to linger under the surface even after Patrick’s gone through rehab; he’s at once recklessly childish and tediously adult, caught between feeling like a scorned son and a bored father. Even his child’s presence in their marital bed, when he has trouble sleeping, is a strange kind of threat to Patrick’s status in the household. By the time we see him try to have fun with Robert, his attempts to jump in the swimming pool with his son are horribly ill-judged and nail-bitingly dangerous. After an hour of tragic self-sabotage, we see Patrick head back to America, taking his family to stay with his hilariously snobby Aunt Nancy. While they all sigh and roll their eyes at Nancy’s stuck-up monologues, Patrick’s all lined up for a relapse into his old ways – with the finale now on the cards, whether he can shift his life in a positive direction is anyone’s guess. With Mary giving the ultimatum to sober up or get lost, though, we won’t have to wait long to find out.